It is September and that calls for all things Sapphire! 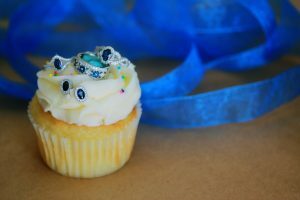 Now traditionally when people think of Sapphire they automatically think of BLUE .. but did you know Sapphire does come in all sorts of colors, even a beautiful white like diamond? We did our research and it seems as though September’s birthstone, Sapphire is associated with faith, honesty, wisdom and serenity. Sapphires are believed to increase mental clarity and enhance spirituality in a person. Sapphires are generally deep blue in color but they are also found in other colors like yellow and pink. Sapphire promotes pure emotions – purity of mind, serenity, joy and peace. Opens the mind to beauty and love. Clears the mind of unwanted thoughts. 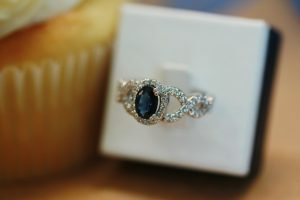 Our store is full of beautiful Sapphire pieces just waiting to be wrapped up and given to your birthday girl this year! Stop in and check them out!